Renovo’s Aerowood is made in their shop in inner southeast Portland. While there’s been a bit of a shakeout since the artisan bike maker heyday of years past, Portland is still home to many great builders. One of them is hardwood bike specialist Renovo. Under the tutelage of Ken Wheeler, the company (celebrating their 10th anniversary this year) has found a solid niche. 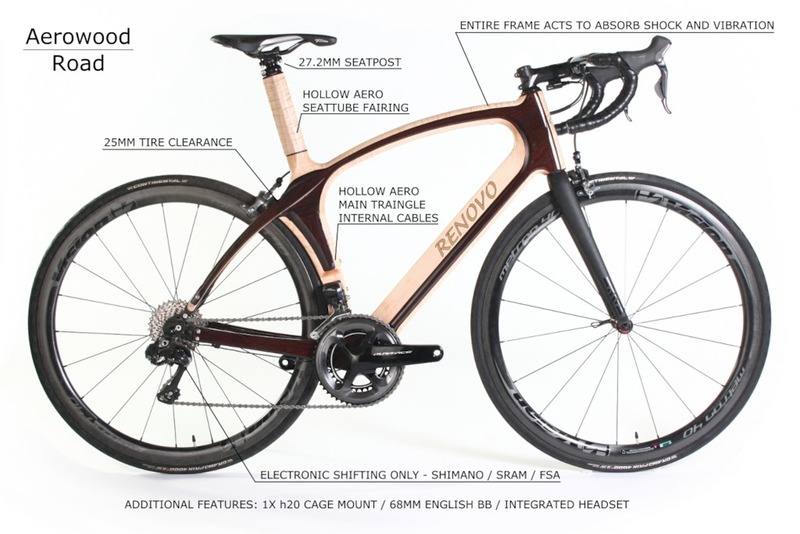 Renovo Hardwood Bicycles introduces the Aerowood, a complete road standout in regards to race geometry, aerodynamic, stealth. The Aerowood features Renovo’s FFSVD© (full frame shock and vibration damping) technology, which delivers a high-quality and smooth ride. Wind-cheating frame aerodynamics usually come at the expense of long-ride comfort, but Aerowood’s hollow wood frame makes for a very smooth ride. The Aerowood excels at long rides, so one may comfortably reel the miles. The aerodynamic design of the Aerowood’s frame also shows off the beauty of the wood material. The Aerowood goes far beyond its elegant aesthetic with a lightweight hollow and aero main triangle that is pound for pound stiffer than metal, and has a fatigue life that exceeds steel or alloy — and almost being equal to carbon. Wood of course, is also a renewable and non-polluting resource. 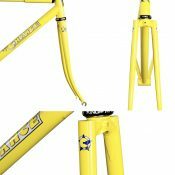 Check out more local bike business news in the Industry Ticker archives. Looks amazing. If I place my order today do you think I’ll have it before Sasha Obama is president? Actually unlike other types of locally made custom bikes, Renovos come out of the shop relatively quickly. pretty sure there’s no long wait on these. Looks pretty. 25c max tire size…I wonder how much a built frame weighs? I don’t dare Google what “titanal” might be. Make sure to use DuckDuckGo in Private mode, and don’t do it on your work computer. 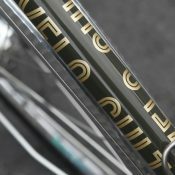 Renovo’s bikes are gorgeous, and even more so in person. 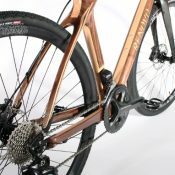 I find it interesting that wooden bikes are listed complete only with electronic shifting — especially since wide cassettes tend not to be shifted so much. But then again, I wouldn’t expect anyone in this market to go with a “stock” build. I think you’re going out on a limb with that assumption. You wood say that, but there are plenty more poplar tree puns. More like against the grain. But personally, I would resist a stock build (and geometry) with every fiber of my being. 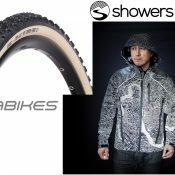 After leafing my deposit I would be on pines and needles waiting for my new bike. Custom geometry to fit your limbs and crotch better? Yes. If it doesn’t fit right, it just saps your energy. And your trunk, don’t forget that! Leaves it be. You’re barking at nothing. A stock build might be fine for budding riders. What, you’re not lichen this? An Endurance bike, but only with Electronic Shifting, the least reliable out there, makes no sense, as does the inability to run 28mm tyres or bigger. I wood have to agree.